Whether this is your first or fifth competition nutrition and hydration can make or break how well you perform. If it is your first, you need to stick with foods that you are familiar with; competition day isn’t the day to try something new. The day before competition should be a normal eating day, You DO NOT need to carb load because you have either done light training or taken the day off so your glycogen stores should be plenty topped off. Stuffing your face with carbs the night before only causes your insulin to spike, which means your body has to store all the excess carbohydrates somewhere. Hydration doesn’t just mean the day of competition it also includes the days leading up. They saying “Drink ½ your body weight in ounces” is a great guide but it is just a guide. There is no exact formula to how much water you should be consuming daily. Including electrolytes (Gatorade, Powerade, coconut water) in your hydration plan the day of competition will allow your body to retain some of that water so you aren’t having to use the restroom ever so often. Evan Pohl states that his hydration plan includes water with Nuun tablets, which is another way to get your electrolytes in. When you sweat you lose salt. If this happens to you, add a couple of pinches of salt to your fluids throughout competition day. This will help fix your pH balance in your body and prevent cramping. If cramping is an issue use Pedialyte, but keep in mind Pedialyte is not a good source of carbohydrates so you will still need to add a carb source. Even though you may feel nervous and not hungry, breakfast the morning of is a huge part of competition nutrition. As I previously stated make sure you eat something familiar for breakfast. Crossfit competition’s usually start in the early morning and require some travel, so wake up early enough to eat a quality breakfast or prep one the night before. Make sure you eat within 2-3 hours of the first event so your body has time to digest. Be sure you are eating a breakfast that includes protein, fats, and carbs. A few good examples are a couple eggs with bacon and sweet potato hash, oatmeal with coconut milk or chopped nuts and some fruit. Focus on carbs and protein between events. Shoot to consume a 2:1 ratio of carbs to protein between events. Casein Proteins- slowest digesting of all the protein. Being that there is little rest between events, you want Protein and Carbs that are going to easily digest. A good sample meal between an event could be a turkey sandwich on whole grain bread with a Gatorade. Competition day our carb intake will be high, fats will be low and protein consumption will be low to moderate. If you are following a specific meal plan, I would not recommend following it competition day because your nutritional needs will be different than a normal day. Once the events are finished have a quick recovery shake like whey protein or a protein bar. When you go out to eat post competition eat regularly but add a little bit more carbohydrates to replenish your glycogen stores from the day of multiple workouts. 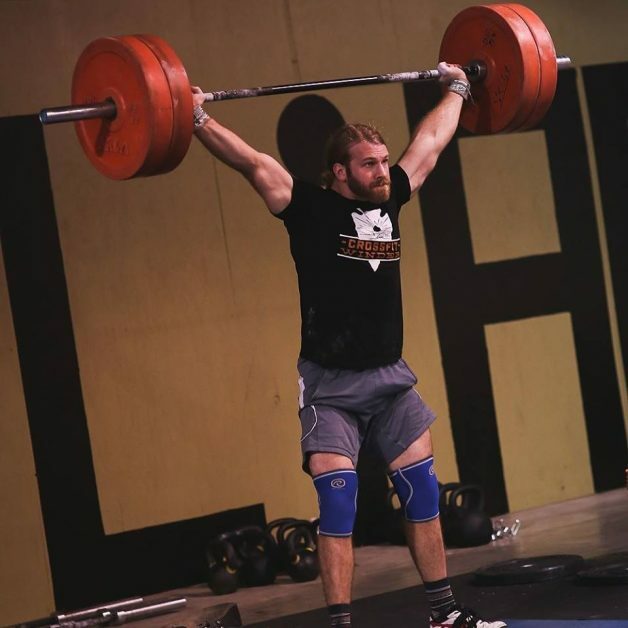 Eat normally leading up to your crossfit competition. Pay attention to hydration ahead of time, and consider adding an electrolyte replacement. Have breakfast the morning of the competition. Between events, eat or drink easy-to-digest protein and carbs. Avoid Fats! After your competition, have a post workout meal/snack. Then, eat the next full meal that comes after. If you have any questions, ask or email me at Kolby.hanson7@gmail.com or ask one of the other great coaches we have at Crossfit Winder and Forge-Rx.